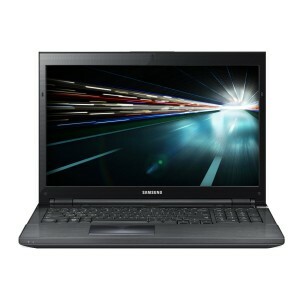 The Samsung Series 7 Gamer occupies the brand’s flagship laptops aimed at serous PC gamers. With heavyweight features that rival some of the best built desktop gaming computers, this quad core Series 7 Gamer NP700G7C-S01US uses the fastest single chip GTX 675M (as of March 2012) to play just about all the demanding games your throw in at medium to high game setting. The Korean CE leader Samsung certainly know how to make it markets happy with the right differentiated products for which its TV panels, Android Galaxy smartphones and tablets are known for. This ability extends to its laptops where its Series 7 Gamer line, as the model indicates, has been designed to target serious gamers and compete with the likes of Alienware, Asus Nation of Gamers, Razer Blade and other brands with flagship models for the discriminating PC gamer. Its Series 7 Gamer NP700G7C-S01US is optimized for serious PC gamers on the road and its $1,999.99 price tag is more than justified by its upscale features, both in the gaming and multimedia departments. Powered by a 3rd generation Intel Core i7-3610QM quad-core processor clocked at 2.3 GHz and up to 3.3GHz from its Turbo Boost 2.01 technology, it comes with a 16GB DDR 3 system RAM and its graphics engine is powered by what is considered the fastest single-chip GPU among laptop graphics as of March 2012 – the Nvidia GeForce GTX 675M with its own 2GB GDDR5 video RAM. You can buy it here at the best price. This Series 7 gamer can maximize the brilliance and vividness of its 17.3-inch LED backlit full HD 1080p (1920 x 1080) resolution for virtually all the most demanding games in 2012 at their high to highest settings. The recently released Crysis 3 has no problem running at 35fps at high game setting. About the only challenge is playing Ghost Recon: Future Solder which can hardly be played in many gaming laptops but can be played here at a smooth 42fps in medium setting. The highly demanding Metro 2033 released in 2010 can be played at 49fps in high game setting. With a combo Blu-ray reader/DVD writer/reader optical drive, Dolby Home Theater v4.0 and stereo speakers with a sub-woofer, a stunning full 1080p display, and a 1.5 TB SATA drive to house a reasonable collection of HD video, photos and music, this Gamer had few peers in providing a truly satisfying multimedia experience while on the road or in a friend’s home. 12-month limited warranty on parts and labor. Its gaming muscle and high end multimedia features come at a price quite apart from its selling tag price that will challenge the budget-conscious gamer. The Series 7 Gamer is a real monster at a thick 2-inch profile and a back-breaking 8.4 lbs. Given all its features that rival a well-built desktop gaming workstation, this gamer is real heavyweight on all counts – features, size and heft. It is best used as your second gaming computer at home and not be lugged around unless you are aiming to lose weight. Around the $2,000 price point, there are more stylish ultra slim and lightweight laptops with classy aesthetics and trendy tablet convertibility than those with the brawn that can satisfy a serious PC gamer. The Samsung Series 7 Gamer NP700G7C-S01US is one of the few that provides all the beefy features that define what a real heavyweight gaming laptop is about. There are always tradeoffs between what looks good or light on the backpack and what performs best and this laptop has the latter in spades for the gamer who puts performance above anything else. By the way, you can buy it here at a very killer price. The Samsung Series 7 Gamer occupies the brand's flagship laptops aimed at serous PC gamers. With heavyweight features that rival some of the best built desktop gaming computers, this quad core Series 7 Gamer NP700G7C-S01US uses the fastest single chip GTX 675M (as of March 2012) to play just about all the demanding games your throw in at medium to high game setting. Alienware m17xR4 AM17xR4-8424BK The Best Gaming Laptop? Best Value For Your Money - Lenovo Ideapad Y580 Review! ASUS Republic of Gamers G46VW-BHI5N43 Beast Review!